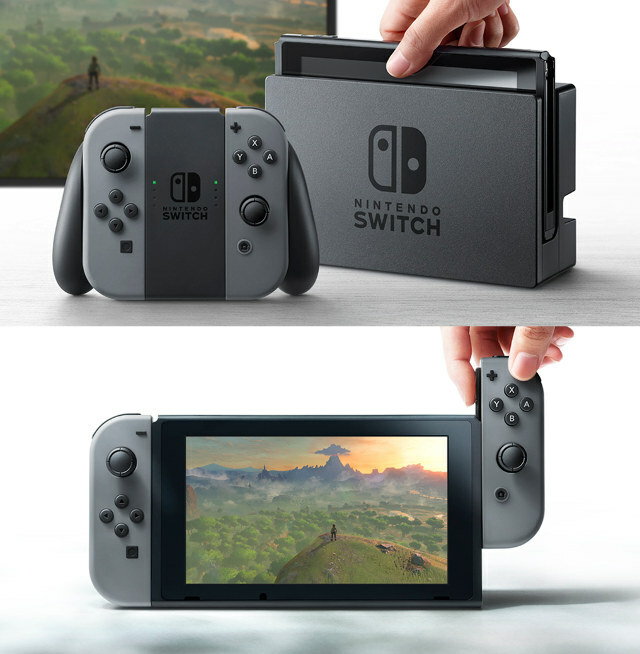 Nintendo just released a video of its new Switch console, the console previously known as the NX. 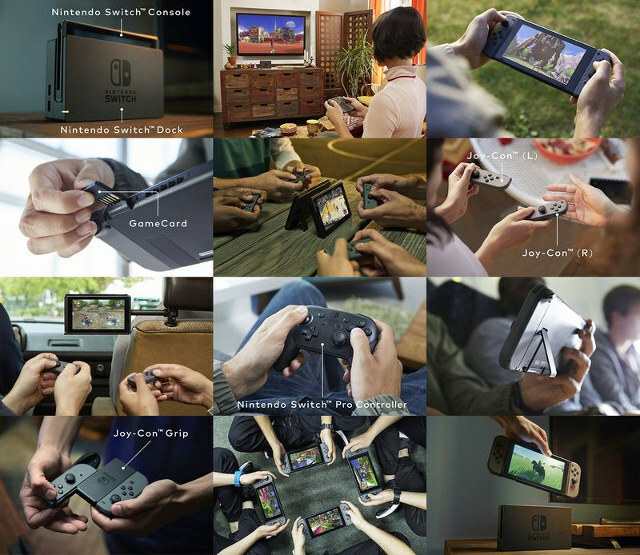 The system can be played with wireless controllers and act as a traditional home console when plugged into its base, but when removed from its base it transforms into a portable gaming console with two removable game controllers attached to each side. Tired of holding the thing? Flip out the screen’s stand, remove the controllers from the sides, and you can play it play it without having to hold it (I assume it weighs a fair amount). The video also shows the thing running Skyrim, so that’s something.